Kenworth Truck Company is offering the Sourcewell Cooperative Government Purchase and Pricing Program for 2019. The special program expands sales opportunities for new Kenworth Class 6, 7 and 8 chassis to more than 50,000 Sourcewell members throughout the U.S. and Canada. Sourcewell (formerly known as NJPA) creates national cooperative contract purchasing solutions on behalf of its member agencies, which include government, education and nonprofit agencies. Cooperative contract use is a growing trend for governmental purchases thanks to its competitively awarded contracts, simple process, and time and money saving benefits. As part of the Sourcewell bid process, responses from truck manufacturing and supply companies are evaluated against multiple criteria to assure member agencies get the best value when making purchase decisions. The criteria includes considerations such as variety of products and services offered, marketplace success, pricing, and value-added attributes. 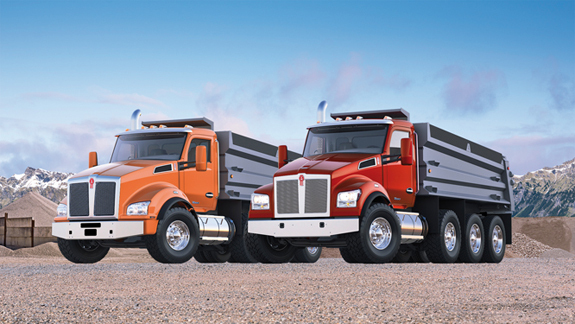 Sourcewell member agencies interested in purchasing Kenworth trucks may contact their nearest Kenworth dealer.